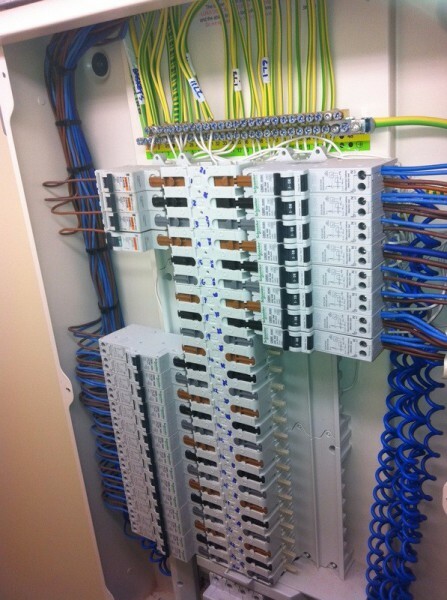 At Electracoms we offer a wide range of electrical and networking services which cover all aspects of the electrical and data industry. From large industrial and commercial installations to domestic electrical services including callouts and property maintenance. At Electracoms we specialise in an extensive range of site specific work. Our experience includes the installation of large power supplies, renewal and installation of new distribution equipment including fault finding and machine disconnections, to high bay lighting and cable management/containment systems. We pride ourselves at Electracoms in our ability to work flexibly around the certain time restrictions involved in the installation of certain projects revolving around office environments. To minimize disturbance we can work through the night or at weekends to make sure work is completed with minimum distraction to workers. We offer a range of domestic services, including full rewires, partial rewires, small power and lighting supplies, heating control wiring, consumer unit changes to the 17th edition including fault finding and rectification with certification to BS7671. We have a dedicated networking team specialising in the installation of new cabling throughout partial and entire building structures. This includes testing. 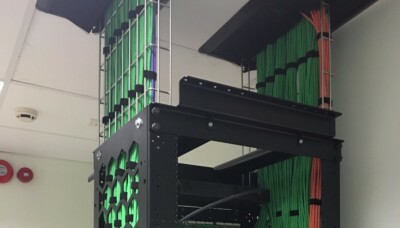 All of our engineers are highly trained to handle, install and test the following types of cable: Cat 3, Cat 5, Cat 5e, (Data/voice) Cat 6 and Cat 7. Fibre optics, wireless network installations and office telephone systems. 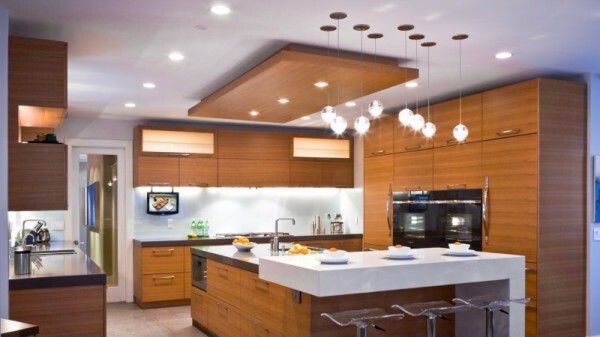 We offer a full range of lighting installations and design services to ensure that our clients get the best possible lighting control solutions for their projects. From industrial high bay to commercial/office environments. Energy saving solutions are something we offer, with the use of LED alternatives to minimize our clients costs with current rising electricity prices. At Electracoms we are fully qualified to carry out full electrical safety condition reports, installation certificates and minor works certificates in conjunction with BS 7671. We also specialize in fault finding and rectification be it data and networking or electrical installations, we offer the full package. We offer a complete energy management service where one of our fully qualified engineers will visit site and carry out a full report on how we save you money. This could come in the form of low energy LED lighting conversions to power management systems in the form of voltage regulators, decreasing your input usage directly at the source. We are highly experienced in the installation of large and small power supplies including their containment systems. Whether it's permanent or temporary and from 1.5mm SWA cables to 300mm SWA we can handle anything. We are also experienced in isolation and disconnection of large supplies to machinery whether its new or existing. We fit a large range of door entry systems including video/voice and also fit a variety of security systems for commercial and domestic properties. We also fit vocal bird deterrent systems which emits a series of predatory bird sounds to warn off pigeons/seagulls. This has proven very successful.